This landscape is designed to provide unique gathering areas for entertaining and spending time with family. The design celebrates living on the Venice Canals, with an angular concrete bench and firepit, a steel appetizer/breakfast table with built-in storage bench and an outdoor living room with steel planters and shade structure, while maintaining clear views of the adjacent bridge and canals. 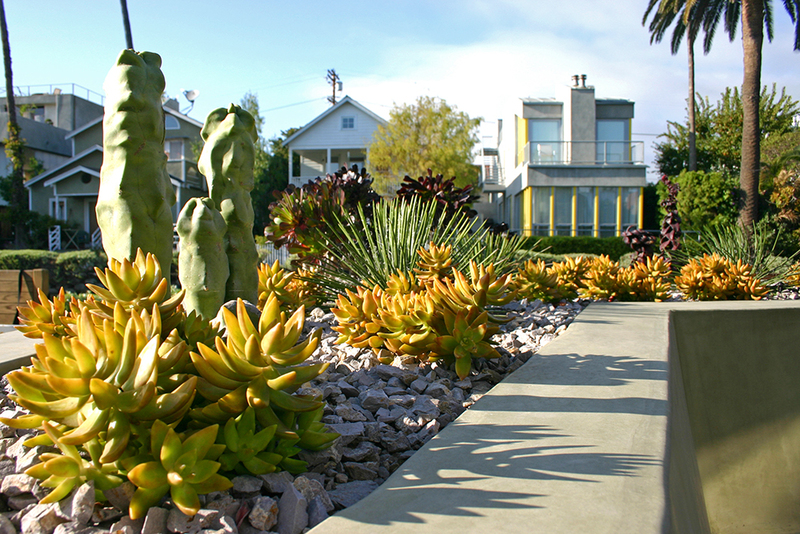 The plantings are entirely drought tolerant and extremely low maintenance.